On 16 March 1966, the Bendix Systems Division of the Bendix Corporation won the contract to design, manufacture, test and provide operational support for an initial four Apollo Lunar Surface Experiments Packages (ALSEP). This was designed to be deployed by the landing crew and left on the Moon to continue scientific investigations of the lunar surface and environment long after the astronauts returned home. As the company developed these instruments, the astronauts continued working on the other aspects of Apollo. For the first year after coming back from pilot training, the Group 4 scientist-astronauts spent their time completing academic and survival training, as well as becoming familiar with the Apollo spacecraft and its associated hardware, procedures and support facilities. As everybody was already working long hours, the new astronauts took on assignments overseeing certain aspects of the engineering operations of Apollo that were instrumental to the success of the programme. One such assignment was the qualification of the ALSEP experiment package, working out procedures to allow an efficient and successful deployment sequence while wearing the full Apollo EMU pressure garment. Jack Schmitt worked on AAP but also had major assignments on Apollo. He had a technical responsibility for the LM descent stage and for what could be stored on the stage for use on the surface (including the ALSEP). When Schmitt and Bill Anders visited Bendix for the Preliminary Design Review Stage, they were astounded that the company had designed the instruments to maximise the astronauts' involvement instead of minimising it. Anders promptly suggested his "Big Red Button'' concept, in which an astronaut could kick a big red button and ALSEP would automatically deploy itself. They never quite managed to achieve that, but astronaut involvement from the early stage of development was critical to ensuring the package's smooth deployment operations when attempted on the lunar surface. 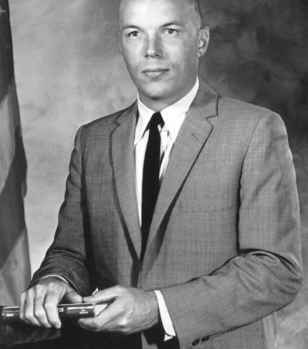 Schmitt also worked with Eugene Shoemaker on the development of the geological tool kit used by the astronauts to collect samples, and with Don Lind on developing the flight plan for lunar surface activities. They (along with members of the Flight Crew Support Division) developed a two-EVA timeline for the first landing mission that included a full ALSEP deployment and geological sample collection, conducting a full EVA dress rehearsal to iron out the procedures. It soon became evident that the constraints imposed for the first landing would not allow such a "heavy" payload (it was over 140 kg), so Schmitt coordinated the minimum requirements for an experiment pack on the first mission in order to save weight and, with Lind, worked out simple procedures to deploy them. The abbreviated science package became known as the Early Apollo Surface Experiment Package (EASEP) and was successfully deployed on the Apollo 11 mission by Armstrong and Aldrin thanks to the work carried out behind the scenes by Schmitt and Don Lind. By 1969, the Apollo programme was gaining pace, leading to the Apollo 11 landing in July. At that time, ten lunar landings were planned, with the faint possibility of further landings, but signs were already becoming apparent that Apollo would end with Apollo 20 some time in 1972 or 1974. NASA needed to finalise the programme that would follow Apollo, which would have to be more flexible in its mission design and more economical. The plan was to develop an Earth-to-orbit shuttle system capable of being reused after each mission, and which would deploy, repair or retrieve satellites, or re-supply an Earth-orbiting space station. This was part of a long-range plan to develop a lunar-orbital space station (both stations based on Saturn workshop designs) and a moonbase, extending the Apollo experience and developing techniques and hardware for manned flights to Mars in the 1980s. This all looked good on paper and in the media, but the reality was far more restrictive. Once the Apollo goal had been achieved, public interest (and support) for the programme dwindled rapidly, as did political support at a time of social unrest across America, an escalating war in Southeast Asia and more pressing needs both nationally and internationally. Though the prospects for participating on a space flight looked good in 1968 and 1969, by 1970 and the near-tragedy of Apollo 13, it was a completely different story, with only four Apollo landing missions, one Skylab space station with three manned missions, and the possibility of a joint mission with the Russians on the manifest. It would be another two years before the Space Shuttle (the only element left of the grand plan) was authorised, so instead of dozens of flight seats over the next ten years, there were now only twenty-four over the next five years. There were just over forty active astronauts, so there were more astronauts than flight seats. Clearly some would retire after flying their next missions, and while others might stick it out, it would be a long wait with no guarantee of flying.